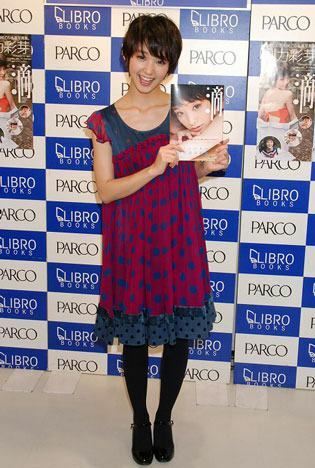 On November 27th, actress Gouriki Ayame held a release event for her first photo book, "Shizuku". Gouriki, who challenged herself to her first swimsuit shots, commented, "It was my first job wearing a swimsuit, so these are precious photos. At first, I was really embarrassed, but I was able to have fun." She continued, "I think my true self is portrayed in the photo book. There are photos of me naturally laughing out loud. I think you will be able to see my many expressions." Gouriki then showed pride in her new work saying,�"I want to show my family. I want them to see my growth." 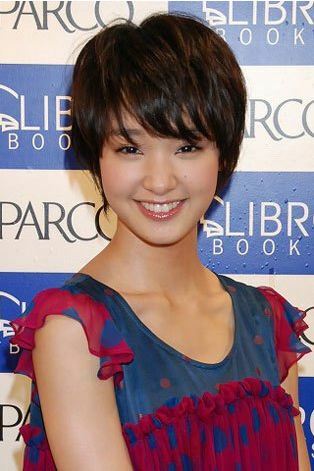 With this photo book, Gouriki received the title, "Genius of Smile". She expressed, "What gracious words.�People around me tell me, 'I'm encouraged by your smile', but it's the other way around. I'm the one being encouraged. I always keep a smile in mind." She then thanked her fans saying, "This year was productive. I was able to think that I'll pull through with this one job; it's thanks to everyone. It was a year where I was able to feel that smiles are important." KAT-TUN reveals PVs for "Birth" & "Star Rider"